So there’s no need to fret or sweat. Read on! 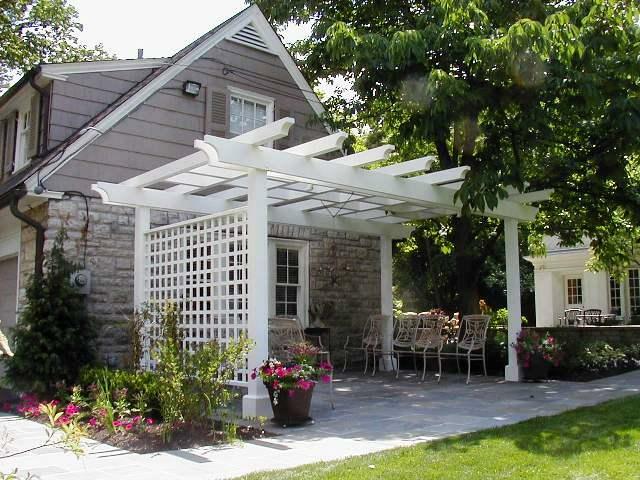 Choices for backyard shade include a whole variety of solutions: umbrellas, shade sails, curtains; portable pop-up canopies, retractable awnings; custom pergolas; under deck ceilings; open or screened in decks, porches and gazebos. Oh and don’t forget about mother nature’s perfect shade solution… leafy trees! 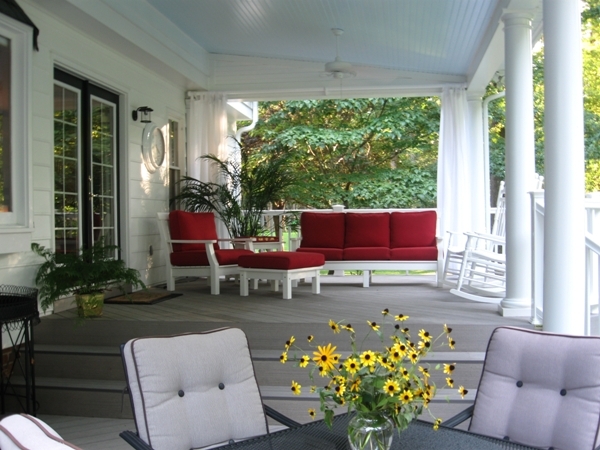 Weather-proof fabric as a shade solution has become an economical and trending alternative for cooling-down an outdoor space. Top of mind are traditional backyard umbrellas which fit neatly into the center of a table. 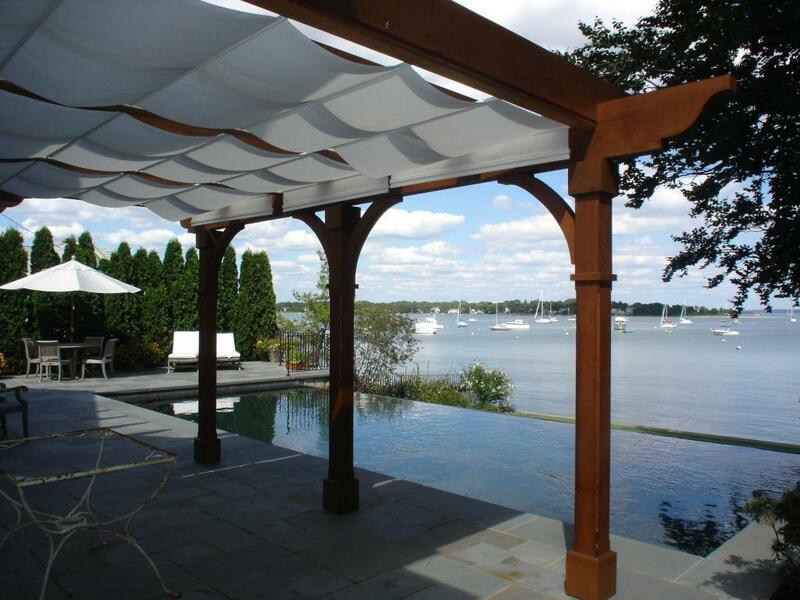 A shade sail or canopy will reduce direct noon-day sun while outdoor curtains are an asset as the sun rises or sets. 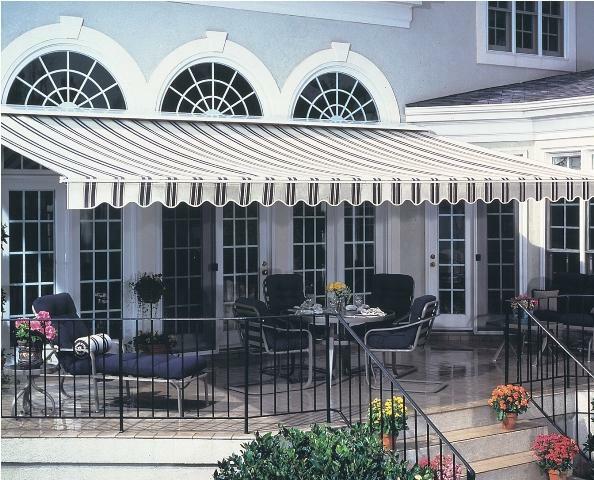 All awnings provide cover; however, the primary benefit of a retractable awning is that you’re in charge of the sun and shade, exactly where and when you want it. By using built-in controls, the awning can be extended part-way or all-the-way to regulate the amount of sunshine. And for complete sun exposure, simply retract it all together. As a bonus, awnings won’t block a scenic view; they reduce utility costs and tamp down the brightness of your interior spaces too. 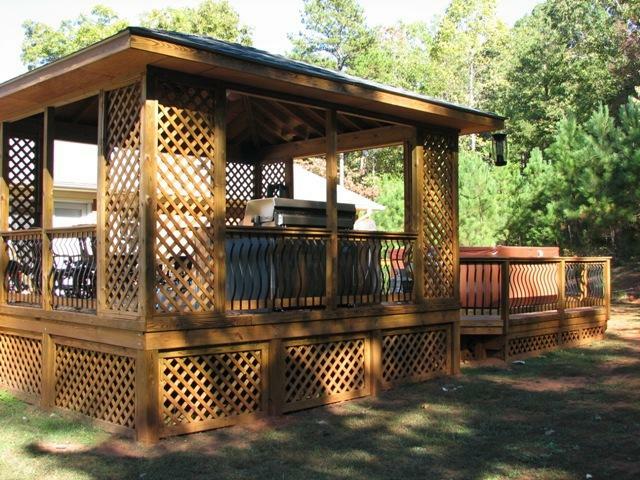 A pergola can be designed and built as an attractive but simple, fundamental structure used to shade a deck or patio. 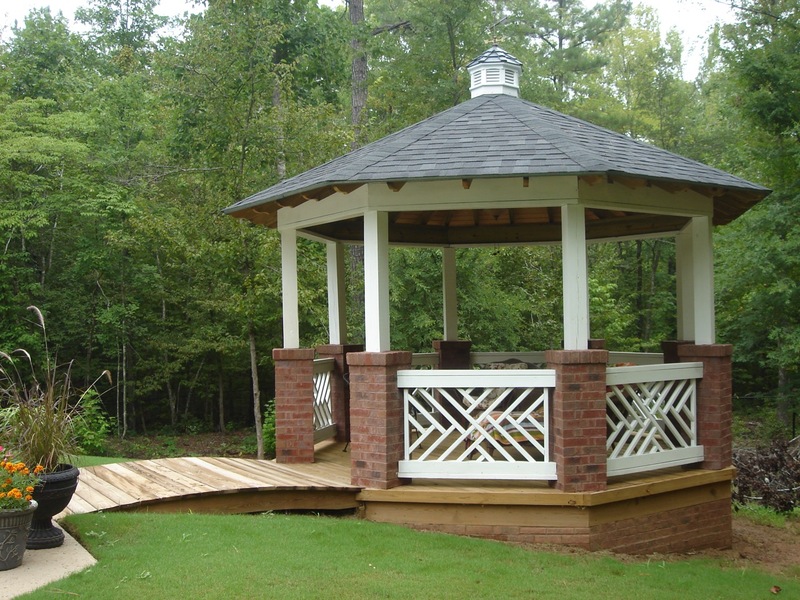 If, however, you want to think beyond-the-basics, pergolas can be completely customized to have a large presence with an ornate vibe. 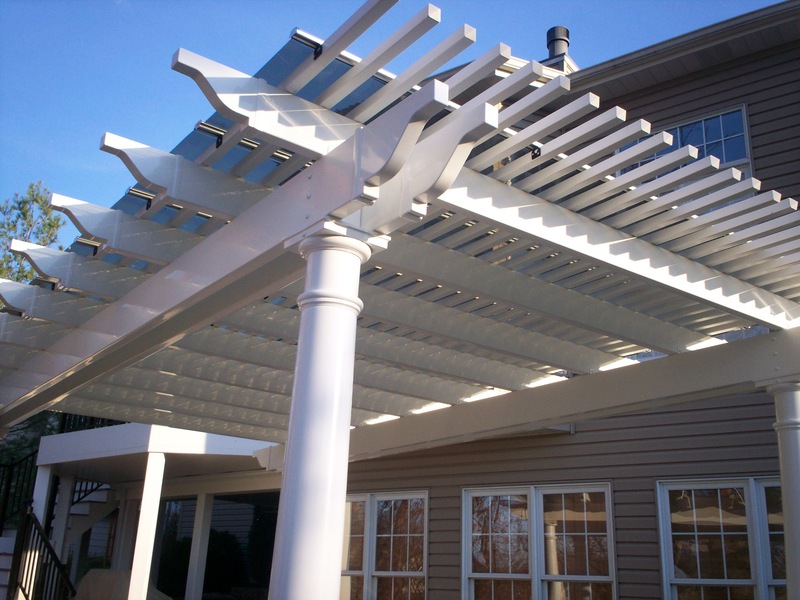 To achieve heavier shade, pergola slats can be constructed in a wider size and/or placed closer together. 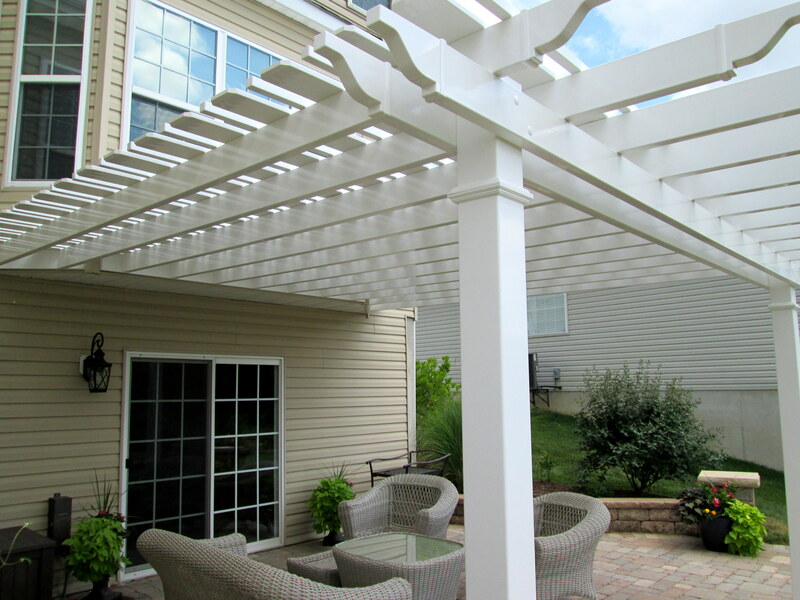 Maximize the shade of a pergola with a canopy system, decorative latticework or solar panels placed on top. 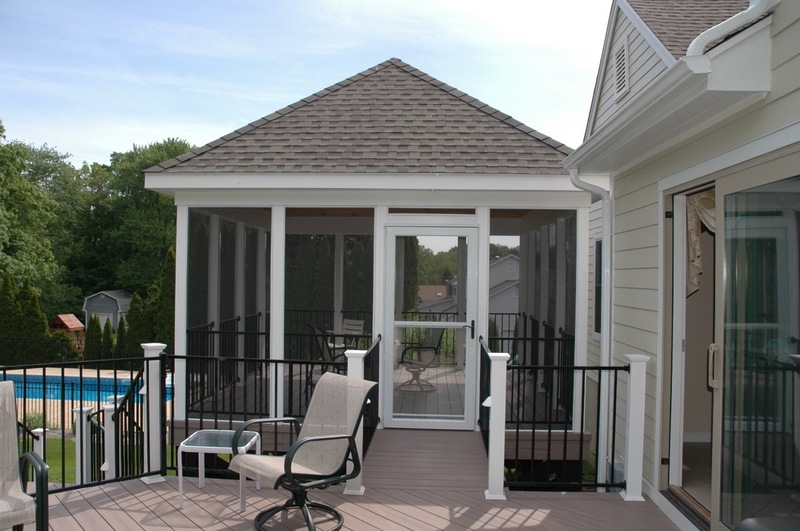 For the ultimate in backyard sun protection, add a roof in the form of an open or screened-in patio, deck, porch or gazebo. 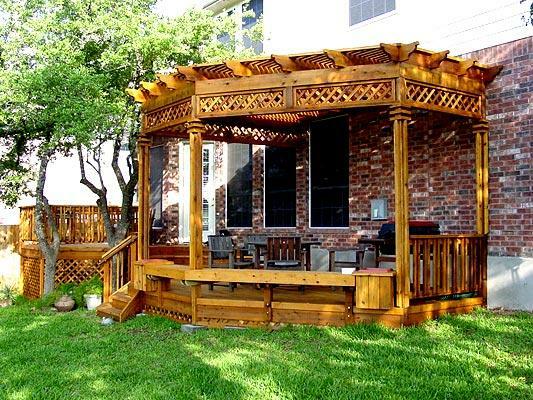 These outdoor additions are not among the cheapest ways to add shade; however, they might be the best way. But when it comes to adding a roof, it’s best to consult with the pros so your project will not only look great, but meet your local building codes for safety. 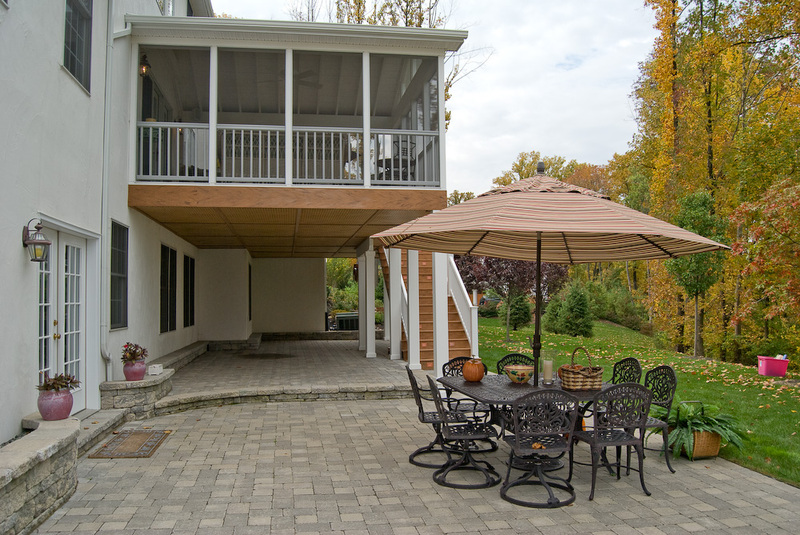 You’ll want to guarantee that a home improvement project such as this stands-up to weather, wind and weight while blending seamlessly with your existing home. 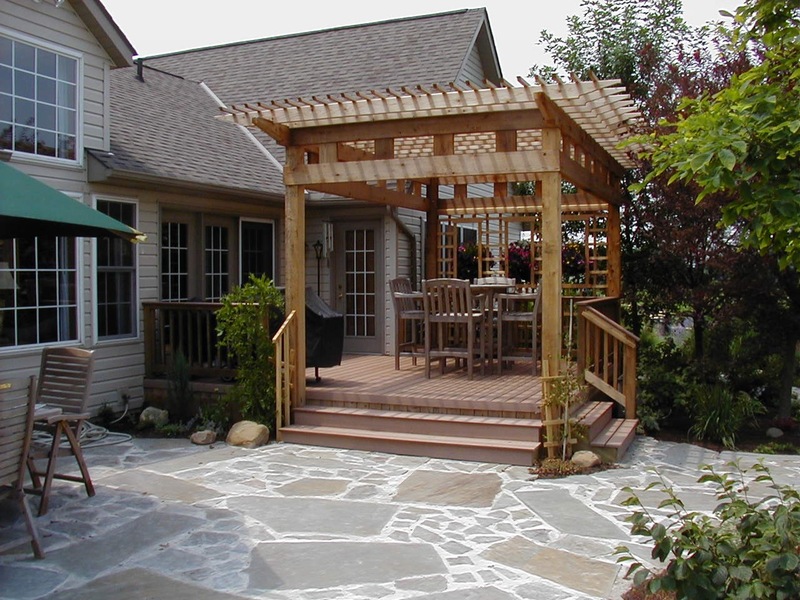 For a few hundred dollars or several thousand dollars, you can include shade features in your backyard design. For some homeowners, ‘less is more’ and for others, ‘more is better’. It all depends on you: your space, your budget and your personal tastes. 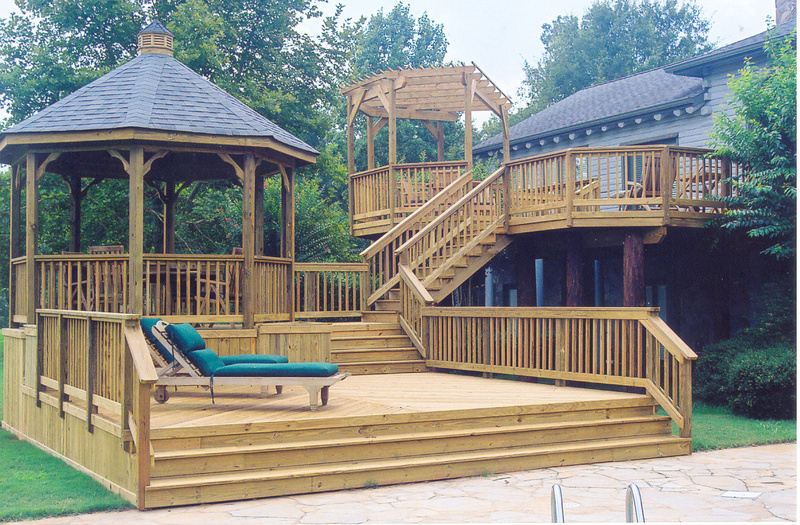 To discover and explore more design ideas for shading your outdoor space just visit our website, west-county.archadeck.com. You’ll have access to photo galleries, an online inquiry form, a video and a free download for Archadeck’s design guide. Social media links to Pinterest, Google+ and Houzz pages are easily clickable from our website homepage too. If you live in St. Louis Missouri or nearby areas and feel ready to speak with a designer/builder/contractor, please consider Archadeck. Our office is conveniently located in St. Louis West County and best of all, we’re locally owned and operated. We live here and we work here too! Archadeck of West County and St. Charles County serves the Greater St. Louis territory including all areas of St. Louis County, St. Charles, St. Charles County and parts of Illinois too. Do you live outside of St. Louis? Then visit archadeck.com for an office near you.